Alex is a research assistant in the Systems Genomics laboratory of Associate Professor Michael Inouye. He completed a double degree at Monash University in 2017, with a Bachelor of Science (majoring in Microbiology and Molecular Biology) as well as a Bachelor of Computer Science. 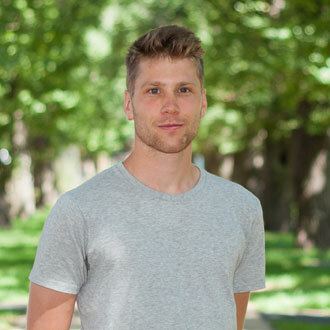 Whilst studying he received the CSL Scholarship for Research in Bioinformatics, to perform bioinformatics research at the Australian Regenerative Medicine Institute with Dr Mirana Ramialison on the analysis of epigenomic datasets. Discovering how computational techniques could be used to study biology, Alex wanted to combine this with his interest in the microbial world, completing an honours degree with Prof Kathryn Holt and Dr Kelly Wyres at the University of Melbourne. This centred around the development of a method to study plasmid genomes from bacterial genome sequences utilising a network-based approach. Alex currently works on using networks to relate gene expression data with information on human disease phenotypes and microbial colonisation.